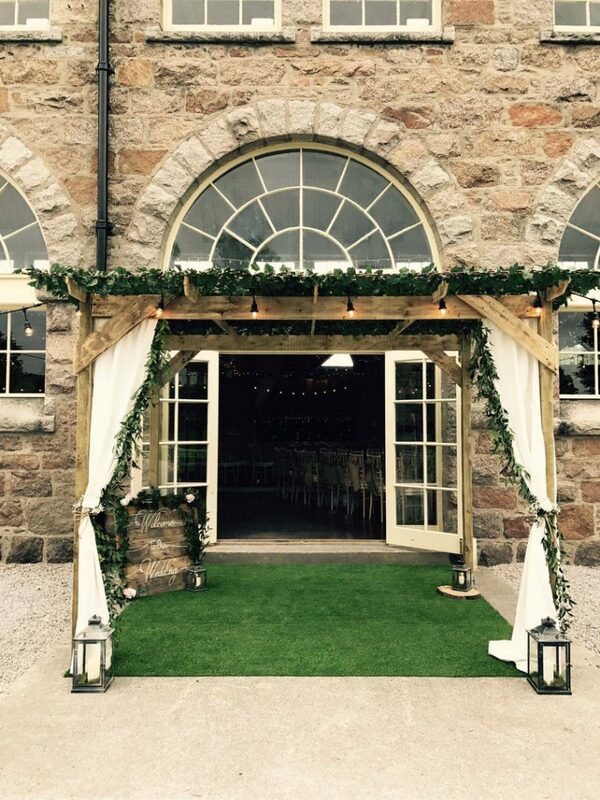 Our Pergola is the perfect entrance for your event. 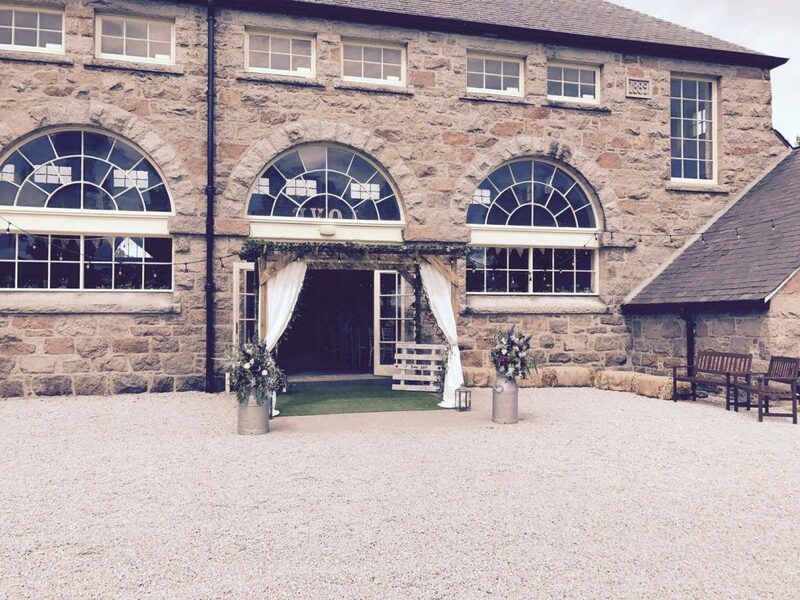 large structure perfect for entrances. 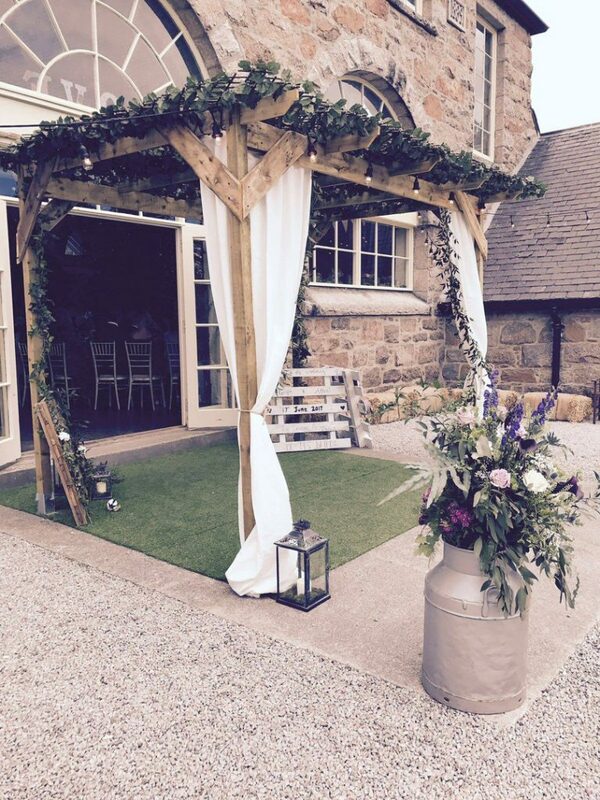 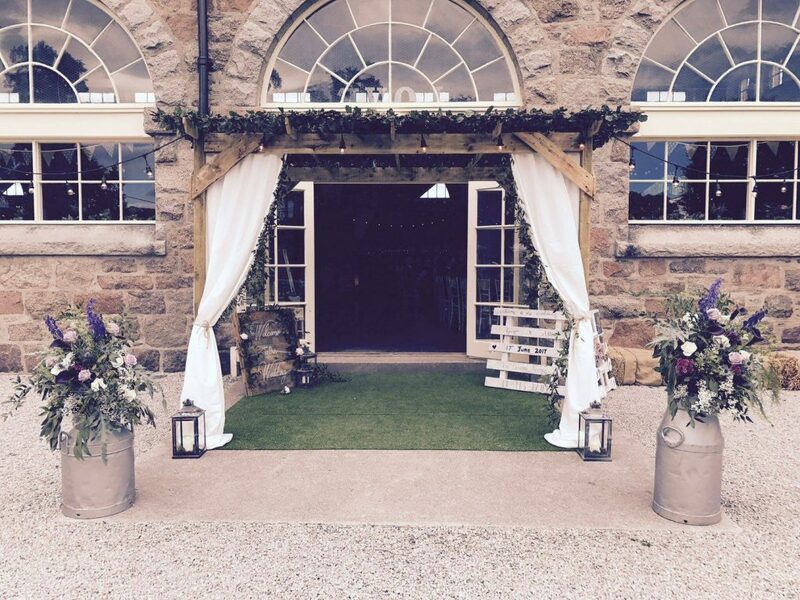 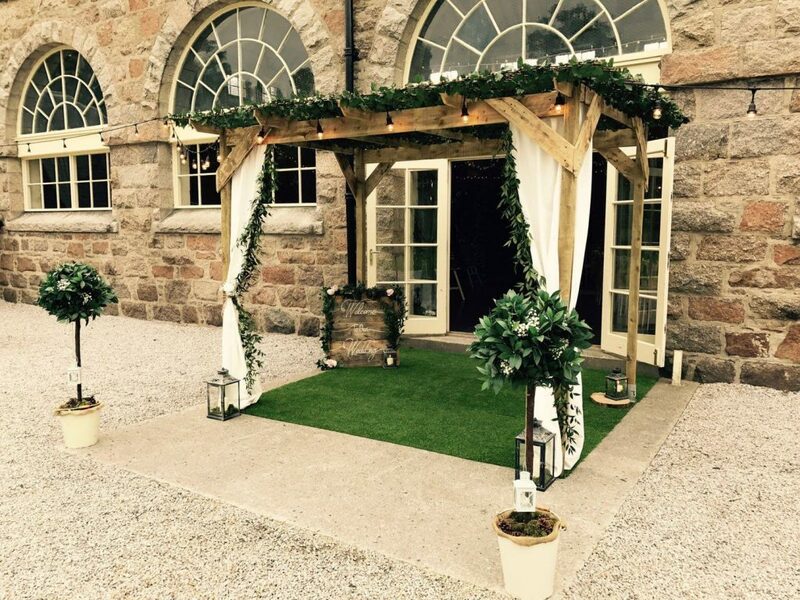 Styled with Ivory curtains, Foliage and an artificial grass flooring.